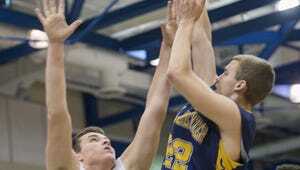 Chambersburg's boys basketball team has a recipe for success. It graduated only its point guard from a year ago, but has at least two potential replacements. The Trojans return more than 90 percent of their scoring from a year ago, and are enjoying a nice blend of the old and new. Despite the expectations surrounding Chambersburg, which has continued to improve each year under coach Shawn Shreffler, it's not going to be a walk in the park. The Trojans still have their work cut out for them in the rugged Mid Penn Commonwealth Division. "Some of our guys have been through a lot over the last three years, and they've really continued to rise each year," Shreffler said. "We want to continue that process, because our league is really good. We have a large percent of our scoring coming back, but you look around the league, and everybody has a large percent of their top players coming back." Returning for the Trojans are mainstays Cole Christian, ByShawn Mincie and Cade Whitfield, all of whom averaged in double figures a season ago. Taking over the point guard position will likely be either Evan Shreffler or Jacob Brouse, both of whom earned significant playing time last year. "Evan is coach's son, so he basically knows the plays like the back of his hand," Mincie said. "Anybody that has questions about the plays can go and ask him, because he basically knows everything." Brouse said, "One of our team strengths is that we're very versatile. Basically any of our guards could play any position. You might see ByShawn at point one night, then ByShawn at wing another. It's really going to depend on who's playing well." In addition to an experienced offense, Chambersburg has also been preaching a defense-first mentality. "Well, any offense can go on a slide, but our things is that defense travels," Christian said. "No matter where you go, the defense has to be there, and it's defense that wins games." The motto "defense travels" was mimicked by Shawn Shreffler, who said defense is a team's constant whether it's at home or away. The Trojans will continue to press defensively, but also don't want to play rushed. "We want to make sure that we play at a pace where we're under control and we can play at," Shreffler said. "We don't want to play at pace just for the sake of playing at pace and then be inefficient offensively. Our league is so athletic that you've got to be able to defensively handle a high pace and not give up easy buckets." One of the early season tasks will be to get some of the younger guys acquainted to Mid Penn Commonwealth Division play. Tyler Collier (6-foot-8) and Joel Torres (6-6) add some much-needed height to the Trojans' interior game, and there are several other newcomers who should play important roles. "Cade Brindle is injured right now, but I'm definitely looking forward to him getting back," Brouse said. "Tyron (Williams), I think he'll make some noise. My brother, Seth Brouse, is on the team, and I think he plays very hard as well, so I can't wait to see what he does. Basically anyone can come in at any time and make an impact." Hopefully that recipe for success will turn into a winning season for the Trojans. Last year: 11-11 (6-8 Mid Penn Commonwealth Division); lost in a District 3 Class 4A play-in game to Central Dauphin East, 61-48. Returning starters: Cole Christian (sr., G, 6-1, 15.3 ppg, P.O. First Team); ByShawn Mincie (sr., G, 5-10, 11.1 ppg, P.O. First Team); Cade Whitfield (sr., F, 6-1, 10.0 ppg, P.O. Second Team); Jacob Brouse (sr., G, 6-0, 5.2 ppg, P.O. honorable mention); Evan Shreffler (jr., G, 5-11, 1.4 ppg). Season opener: Friday, in Franklin County Tip-Off Tournament, vs. Greencastle-Antrim at Waynesboro, 5 p.m.